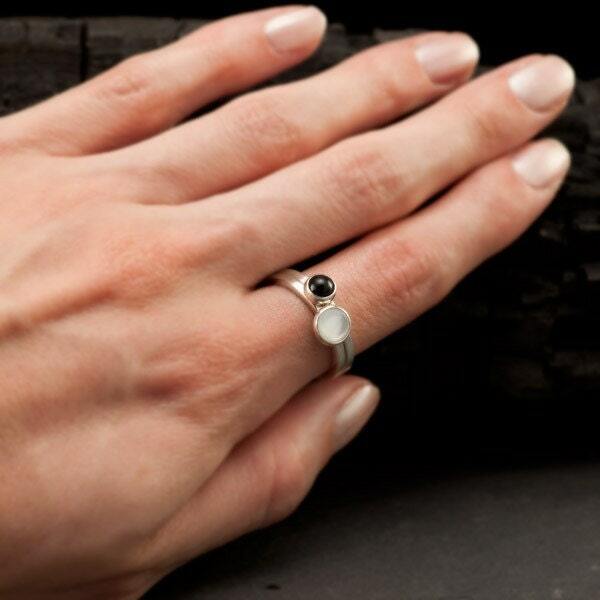 This stacking ring set is designed with a square argentium sterling silver band accentuated with a large 6mm natural pearl gemstone & a smaller 5mm black onyx gemstone. The square bands are designed to stack perfectly flush together. 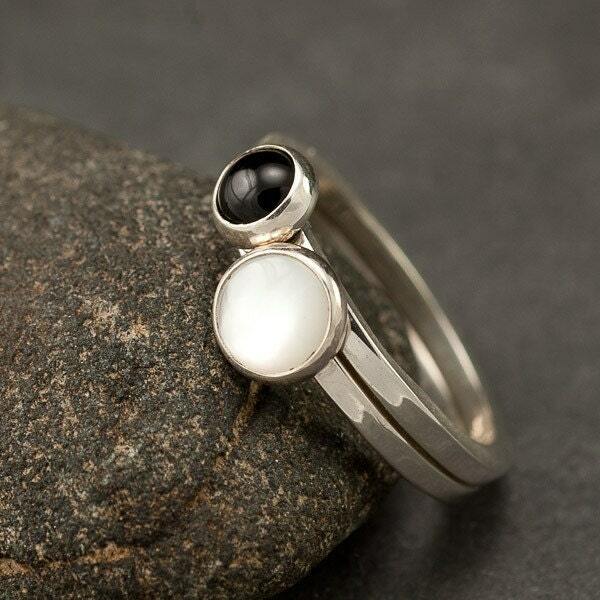 This black and white ring set goes with everything. 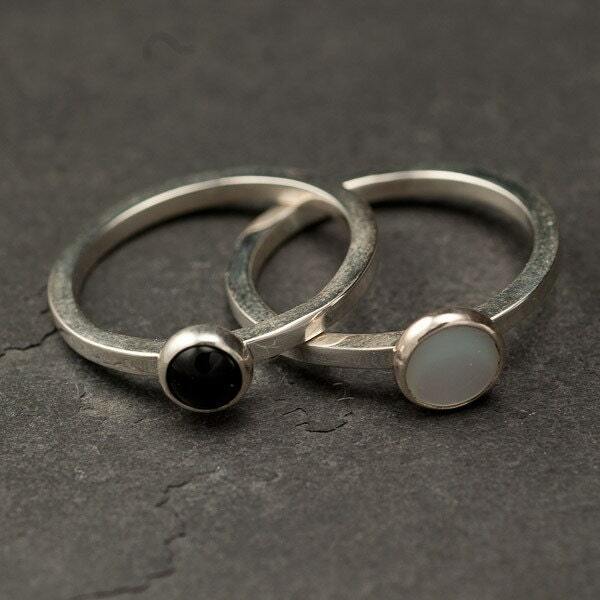 A beautiful pair of gems for this modern stacking ring set! 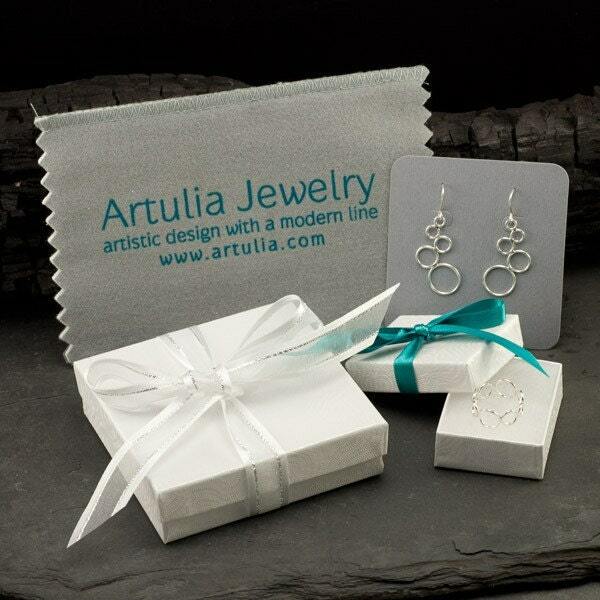 The rings will arrive gift-wrapped and include a jewelry polishing cloth. Beautiful and slightly edgy ring set was just what I was looking for. The mix of onyx and pearl is a stunning combo. High quality! Thank you Meaghan!!! The rings are even prettier in person than I had imagined. I wholeheartedly recommend purchasing from Artulia!